We have three of these! I am not a fan of the snorkel and mask, but love to snorkel. This is perfect for me, a novice, or my kids who love to snorkel and are great at it. 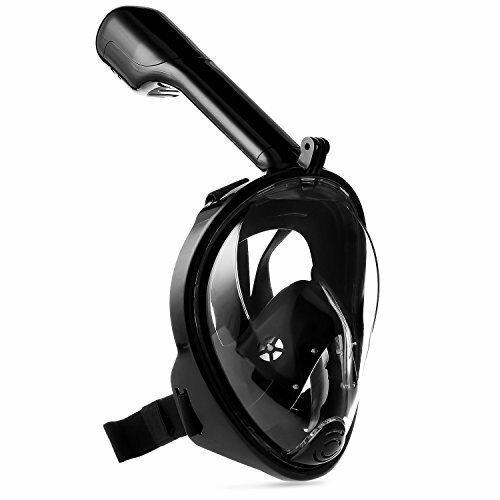 The snorkel fits well and fits your whole face so you don't need to try and learn to breath through you mouth. Just place you face in the water and start looking around. If you go under to pick up a shell, just hold your breath, and resume breathing when you come to the surface. It closes off, so no water comes in. When in doubt. get a smaller size so it fits snuggly arouond your face. If it is too large, you might not get a good seal. We love ours. You gotta try it to believe it!